If your dog is losing weight and reaching their healthier target weight, we're happy to hear it! Our perfect portions make weight loss plans easier than ever for many of our happy #nommers. If your dog is losing weight and they shouldn't be, don't worry! With our customized portions and online profile, it's very easy for us to use the feedback you provide to quickly update your dog's meal plan. 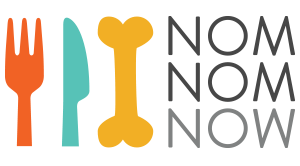 Begin by logging in to your account at nomnomnow.com/account, where you can update your dog's current weight, and make sure their target weight is also accurate. Once you've updated your dog's weight, our system will automatically adjust their portions to put them on a natural, healthy weight gain plan. You'll notice these changes in your next order (as long as they're made before our 12pm noon deadline each Thursday). Continue to monitor your dog over the following weeks, and please provide any updates in your dog's profile. If for some reason your dog seems to be continuing to lose weight, please contact us at care@nomnomnow.com, or 415-991-0669 and we can determine if we should continue to adjust their portions, or if perhaps there may be an underlying condition about which you should speak with your vet.